Denton County Lawyer | Haugen Law Firm, P.C. Voted #1 the last 3 years by the Best of Lewisville and Flower Mound for our excellent service & positive results. 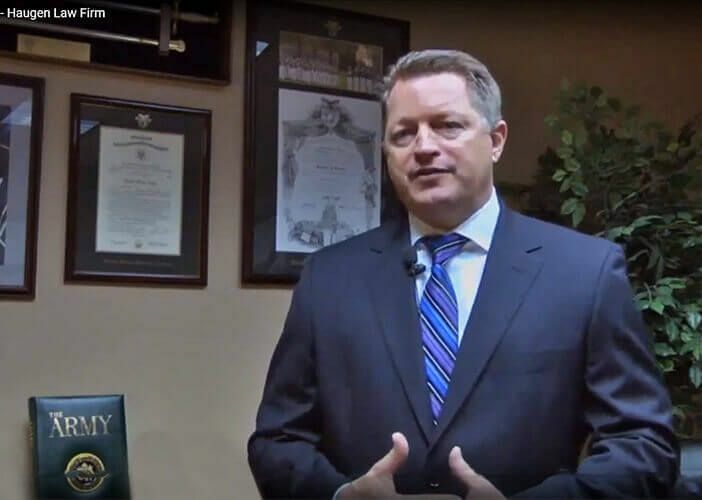 As a former U.S. captain, Attorney Haugen understands the complexities of military divorce. Learn what former clients had to say about our level of service & commitment to their cases. We are extremely familiar with the local courts. Use our experience and reputation to your advantage! Submit a case evaluation form today to get in touch with our firm and learn how we can help you. Family law matters are often the most complex and stressful situations anyone can endure. If you are facing any sort of family law legal issue, it’s important to hire an experienced legal advocate you can count on. At Haugen Law Firm, P.C., our team understands what it takes to fight for and secure you the outcome you deserve. Fill out the online form today for a FREE case evaluation. Founding Attorney John Haugen has decades of experience working with families in need. Few law firms across the nation can offer the same level of preparation and knowledge as our firm. As a Lewisville & Flower Mound divorce lawyer, Attorney Haugen is trained to win on behalf of his clients. His experience and perspective can give clients an edge in any family law case. The firm has come to be recognized throughout Texas for the individualized attention offered to clients, as well as their compassion and responsiveness. We offer weekend and after hours appointments. Call Haugen Law Firm, P.C. at (972) 436-8750 today to discuss your case with attorney John Haugen today. Our firm focuses on the individual needs of each client, and we tailor each case specifically to your unique needs. Attorney Haugen graduated from West Point in 1984 and served in the U.S. Army for five years, earning the rank of Captain before being honorably discharged in 1989. As part of our firm’s ongoing commitment to service members and certain professions key to our society, active duty military, school teachers, and firefighters receive a 20% discount, and retired military service members receive a 10% discount. Finding the right legal team to represent you during your family law case is one of, if not the most important steps to take. One of the most common types of cases our firm handles are divorce cases, and while some of these cases can be relatively straightforward, some are by far the most complex. We are committed to finding you a solution that best fits your needs. We are prepared to take your case to court if that is what you require to secure the best possible outcome, but if your case can be solved out of court we are ready to sit down at the negotiation table until your final agreement is signed. Haugen Law Firm, P.C. also provides focused and aggressive criminal defense representation. Our Denton County criminal defense lawyers have experience defending a wide range of offenses, including DWI, violent crimes, assault, and domestic violence. If you have been arrested, it is imperative that you move quickly. The prosecution is already working to prepare a case against you and your future depends on strong legal representation.